Post Fellowship: Becca continued at HRI in a project management role. A native of the city of Cambridge, Becca Schofield was thrilled to launch her career in affordable housing as a Fellow at Homeowner’s Rehab jumping into local, on-the-ground development work after a year post-graduate school at a funding agency. At HRI, Becca was soon elbow-deep. HRI’s small size, wide range of projects and collaborative staff afforded Becca experience from a 6-unit gut rehab to an 86-unit tax credit deal. The Fellowship added another dimension. 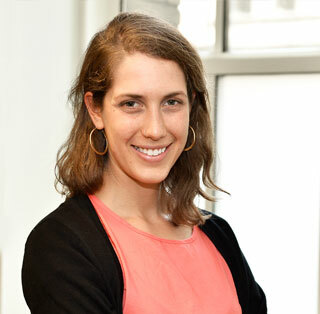 “ As a very green project manager, a safe space to ask questions about projects or policy issues, learn about other Fellows’ experiences, and get exposure to affordable housing work from a range of perspectives was so useful,” she commented. Post-fellowship, Becca accepted a permanent position at HRI. “My experience as a Fellow was just the beginning! I was – and continue to be – inspired by my mentors, peers, and others working hard to build and preserve affordable housing in Massachusetts and beyond,” she adds.